Whether it's a favorite stuffed animal, a priceless painting or even your last shred of hope, if someone's taken it from you, Ban and Ginji will get it back. They're the Get Backers, an expert "recovery" service. And they'll retrieve what's been stolen, no matter what it is or who took it. Of course, with Ban's special "Evil Eye" and Ginji's lightning strike capability, they've got a head start on the crooks. No job is too big, no job is too small. At least not until they pay off their tab at the local coffee shop. Its 49 episodes of non-stop action. 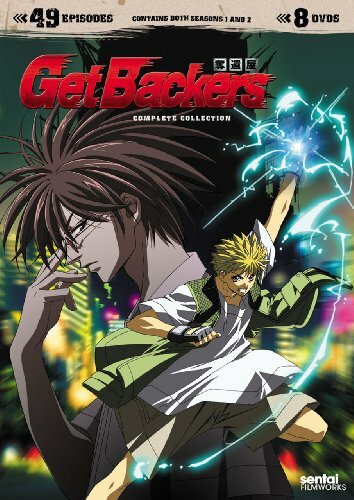 It's the GetBackers Complete Collection - don't let anyone take yours!